QUINOA SALAD RECIPE || LUNCHES | RAWR BOWS. Hello! 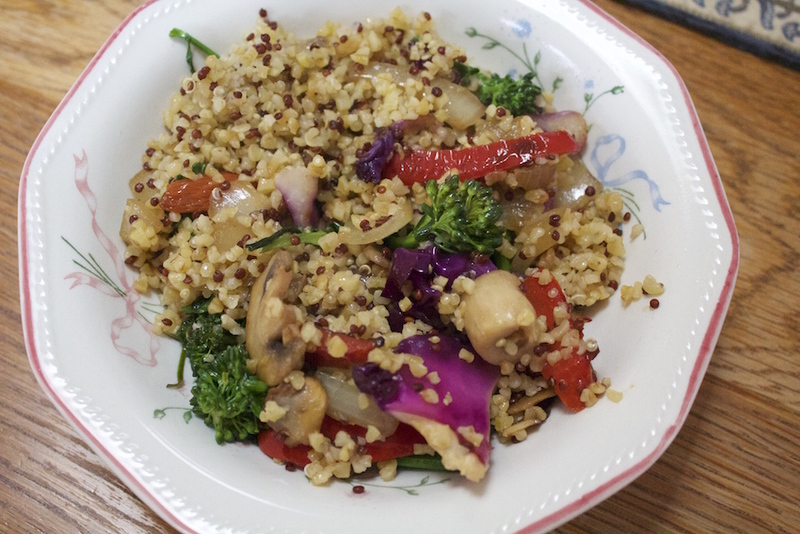 A few days ago I decided to cook Quinoa for the first time. I had obviously heard of it millions of times and even ate it a few times at restaurants but never attempted to cook it myself. Well, I gotta say that I might become a Quinoa addict. It's as easy to cook as pasta and I think it tastes even better so it's a win win. I still have loads of recipes to try but that's what I did last time and it tasted delicious! I am not joking when I say that this is the easies recipe ever. 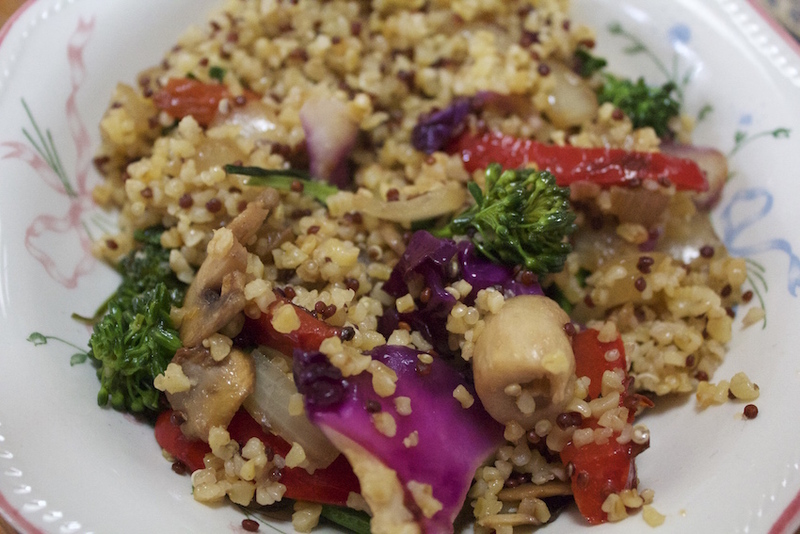 First, put some oil and salt in a heated sauce pan and add the quinoa for a few minutes to toast it a bit. Then add two cups of water and let it boil for about 15 minutes. Whilst the quinoa is cooking heat some oil in a frying pan and add the diced onion, sliced mushrooms and sliced pepper.. Once it's all cooked, take everything out of the pan and set it aside. Then add the cabbage and broccoli to the pan and cook it lightly. When everything is cooked and ready, mix everything together in a bowl, drizzle some oil and it's ready to eat! HOW TO CHOOSE THE BEST SUNCREAM?